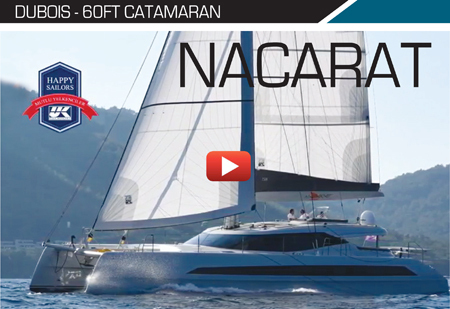 Thirty or 40 years ago catamarans were designed and built for brave adrenalin junkies or the few early supporters of the concept. 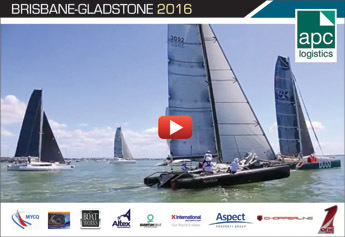 Australian-based designers Lock Crowther, Jeff Schionning, Tony Grainger laid the foundations to multihull design in this region, with many projects undertaken by amateur builders. 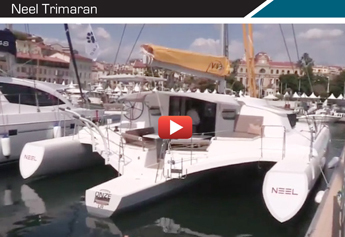 French designers and builders Fountaine Pajot have dominated the world’s cruising multihull production market with France’s Lagoon and South Africa’s Leopard by Robertson and Caine builders also having a strong presence. The yacht charter market has also helped increase the demand for the manufacture of these spacious apartment-style boats. 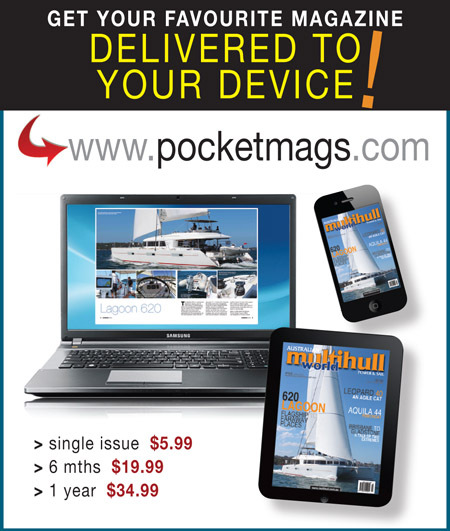 The advantages of multihull boats make practical sense and provide compelling arguments for an increasingly large proportion of buyers: they don’t heel over; they’re fast and have plenty of room; and they don’t need deep water and many designs can easily be beached, giving greater opportunity to explore remote anchorages or escape nasty conditions. Potential boat show buyers often look no further than the creature comforts and reputation of the brand, which makes their choice easy. 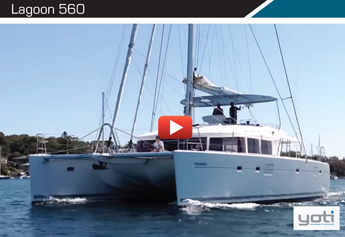 However, such a large investment demands a solid understanding of the basics of the design so that buyers understand the true technical character of a multihull. 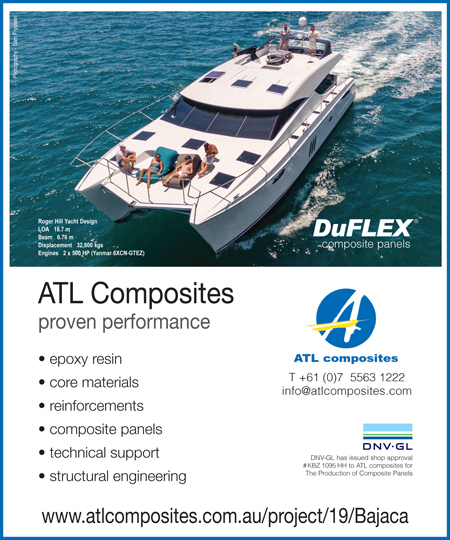 These technical features are based on the length, weight (displacement), sail-area, draft and bridgedeck clearance. It is important that buyers not only understand the strengths of their boat’s design, but also its limitations to avoid future problems or dissatisfaction. 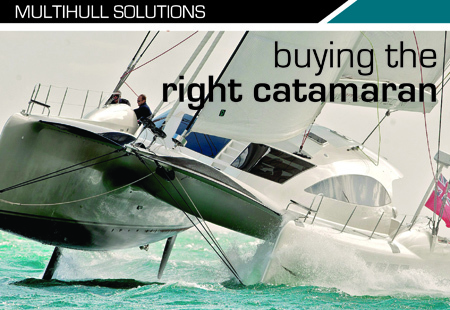 Over the last 35 years, production builders in the multihull industry have successfully ironed out potential safety issues like capsize and pitch poling, so buying from a well-respected manufacturer will give the buyer the confidence of a correct selection. 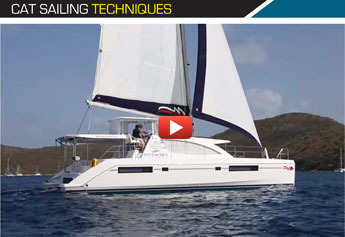 This, combined with competent seamanship and navigation skills, will enable the buyers and their families to enjoy a lifetime of multihull sailing. 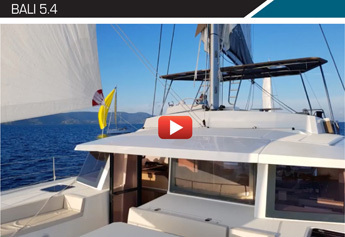 The Helia 44 - great all-round performance from Fountaine Pajot and the fine shaped bows of the performance orientated Mojo, a stunning Schionning 15m catamaran. 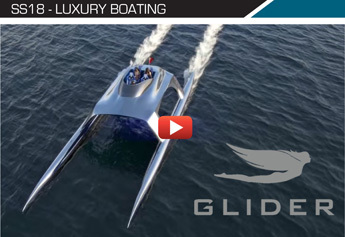 Efficient movement through the water is largely dependent on how the hulls are shaped. Do the hulls have fine bows or a blunt ‘bath tub’ look? 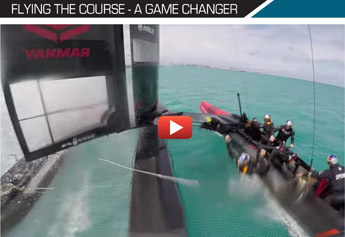 A big mistake made by catamaran owners is to load up their boat with all the comforts of home and expect the boat then to perform like an America’s Cup racer. Catamarans cannot be loaded with more than their design waterline; most are sensitive to weight unless designed as a heavy displacement cruiser. Bows with a blunt bath tub shape have the advantage of buoyancy when sailing (to avoid a pitch pole in a storm) and to take extra payload. A light and faster boat has a slimmer hull design. Lighter boats also require less power and fuel, and they can be easier to manoeuvre in the marina. Before making any other decisions, a buyer must establish what type of sailing they intend to undertake: liveaboard cruising, long-distance passages, shorter coastal cruising ventures, or racing? The design ratio that offers some insight into this question is the displacement (weight in saltwater – long tons) to length number. This number is very indicative of the likely potential speed of the boat and the ability for the hull to be loaded up. 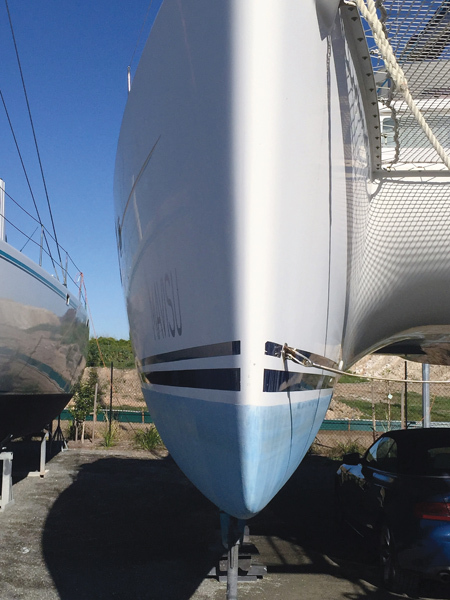 Length is the waterline length (in feet) but very similar to overall length on the new catamarans. (For this ‘D/L’ formulae, the length number is cubed to be the same dimension as the displacement). The D/L number can be used to compare boats of any size. The Lock Crowther-designed Catana 44, first built in 1992, was one of the earliest fast French production boats to hit the market. It has a D/L ratio of 94 yet features a large and modern interior. 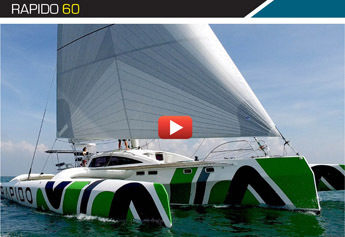 Fountaine Pajot’s Lavezzi 40 designed by Joubert–Nivelt in 2003 has a D/L of 99. 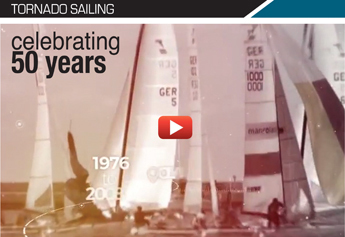 This design also included a modern mast for better performance. The fine bows and exhilarating performance of the South African Tag 60, designed by Kiwi Greg Young, has a D/L of 80. 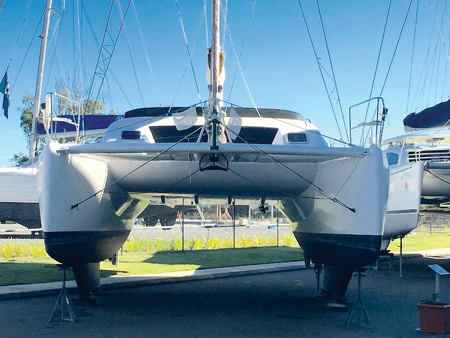 One of these catamarans recently sailed from the Gold Coast to Hamilton Island in 44 hours, a distance of 600nm, averaging 14kts while cruising, while eating roast dinners and enjoying the comforts of the air conditioning, dishwasher, washing machine and dryer! 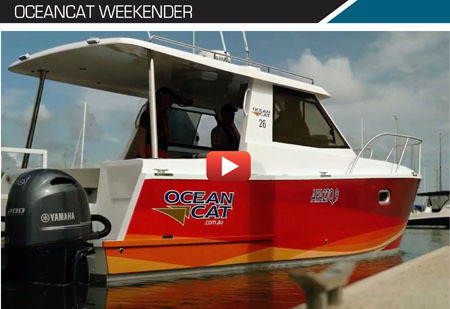 Today, there is a huge range of multihulls that have become popular for their load-carrying capacity and sturdy nature, making them ideal for charter work. Boats with a D/L greater than 100 have blunt hull shapes that need a strong wind to get them going. The Grainger 1220 with a large 800mm bridgedeck clearance. Similar to the power to weight ratios used in the performance of motor cars, the sail area-to-displacement ratio is the equivalent in sail boat performance. Sail area measured in square feet and the displacement figure in long tons is to the power of 2/3. The Tag 60 mentioned previously has a SA/D ratio of 39. French builder Outremer has always built fast boats; its 55ft boat designed in 1991 has a SA/D ratio of 32. 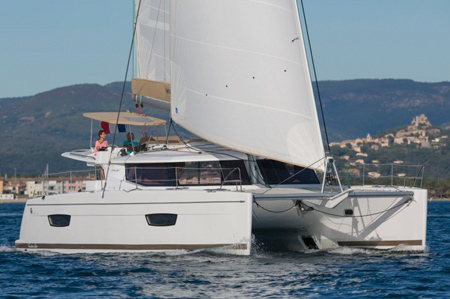 A particularly good allround power-to-weight design is the Berret Racoupeau-designed Fountaine Pajot Helia 44. 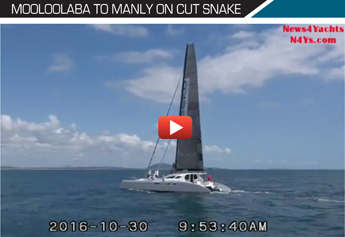 This modern all-rounder has a very acceptable SA/D ratio of 24, providing a nice sail in under 10kts of wind while accepting a large payload. The Australian-built Lightwave 48 Grande is also a good performer; it has optional daggerboards, a big payload capacity, and a SA/D of 28. 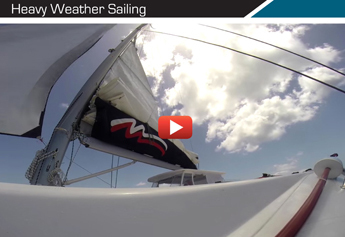 Cats with a SA/D ratio under 22 will suffer from poor sailing performance in light winds. So what happens when you graph these two numbers? The graph below is a result of tabling over 60 multihulls designed in the past 20 years and averaging the results from each model by major manufacturers associated with the Australian market. *Note: In terms of comparisons, the data used is based on boats with no payload aboard and the sail areas of the mainsail and 100% jib. Variances can occur between models of each boat and the information provided has been accessed by desktop searches and cannot be guaranteed as originally designed specifications. The graph reveals some obvious traits. The stunning performance offered by US boats Gunboat, Tag and Australia’s Schionning is ideal for those buyers dreaming of achieving outstanding speed! 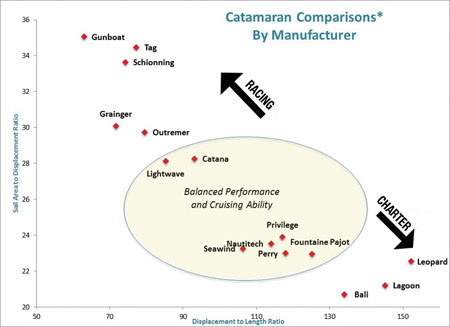 Fast passage-making ability is found in Grainger designs, France’s Outremer and Catana, and Australia’s Lightwave cats. 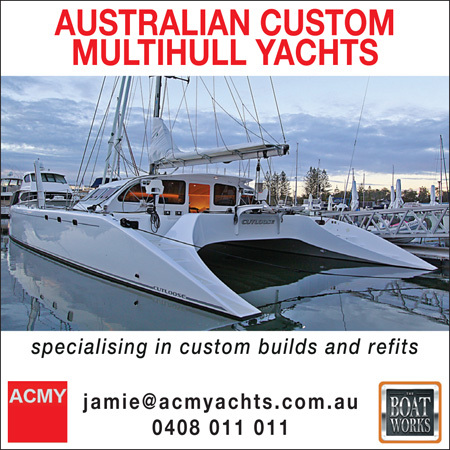 Normal cruising and payload carrying boats are epitomised by European Nautitech, Fountaine Pajot and Privilege, plus Australia’s Perry and Seawinds. 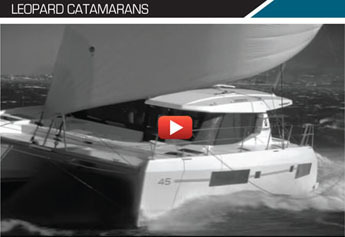 The heavier boats are slow in light airs but capable of large payloads, characterised by Leopard, Lagoon and France’s Bali (built by Catana). 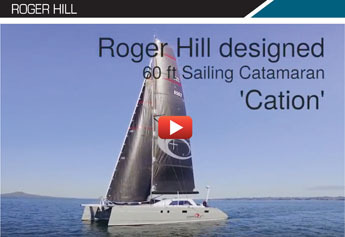 The ability for the catamaran to sail upwind as well as a similarly sized monohull boat is determined by the hull shape and keel shape. Catamarans that have daggerboards that lift up and down from each hull will sail up to 10° higher than a cat with sacrificial keels. These daggerboards do take up room inside the boat subsequently reduce interior space and have the added disadvantage of potential damage upon beaching, so daggerboard boats are suitable for the more racy owners. Lastly; the effect of the bridgedeck clearance – the distance from the waterline to the bottom of the cross beams – deserves mention. 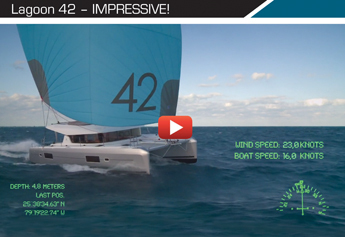 Ideally this measurement is greater than 700mm, on most successfully designed catamarans. Designer Tony Grainger believes it should be 6 to 7% of the waterline length, so a 12m boat should be in the range 720-840mm. A reduced clearance means the boat may have a little more slap and slam in the ocean, causing a less comfortable ride, and waves hitting under the deck will also slow down the boat.